It’s that time of year again, the one big craft show that I attend every year, and once again I’m trying to do 18 things at once. You would think by now that this would not be a surprise, that I would have a game plan all set, I would know what my inventory is, and that I would be in fine shape. Nope! It occurred to me this morning that I’m not even sure if all of my stuff is tagged. Since I’ve had the online studio at ArtFire, I’ve just made things, listed them, and packed them safely away! This will make for one more step in the process of preparing for the show. I really should start doing more local shows again just to keep in fighting trim. 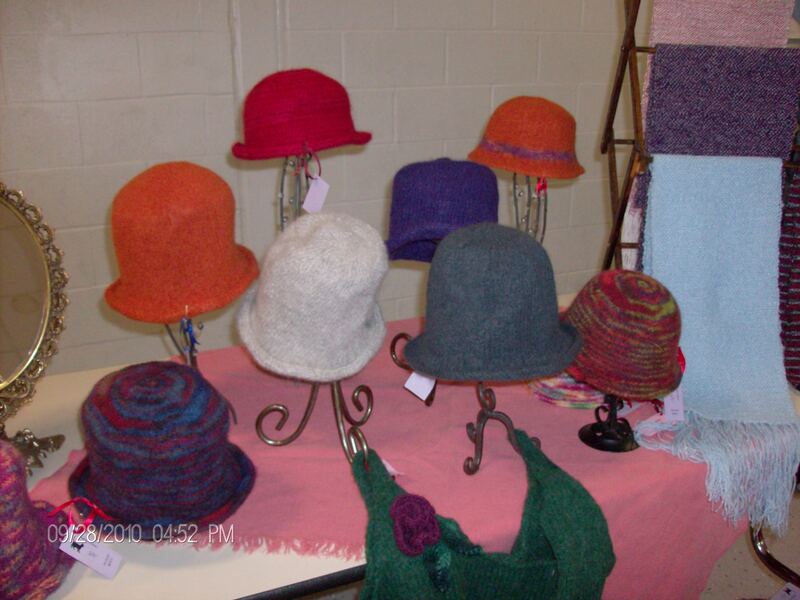 Another item I would really like to have on hand are scarves woven out of the Kool-Aid dyed yarns. 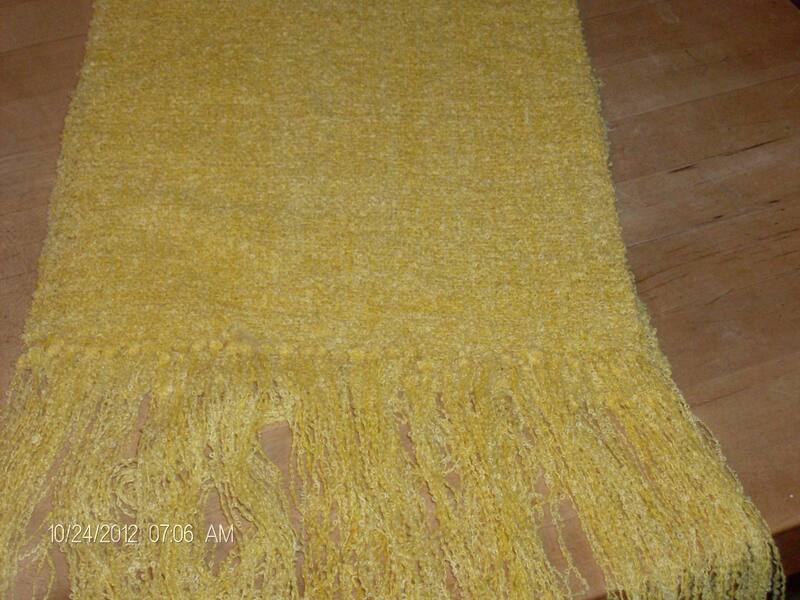 I’ve already woven one from the Marigold dye to order. Last night I managed to wind one skein of it up so that I can warp the loom today, but I still have 5 skeins to wind and 560 yards of boucle doesn’t always cooperate. It will be fun to see how the 2 color yarns weave up. The two that I’ve woven have a lovely soft feel to them and I suspect that they will be very warm. So long story short, I’ve boxed myself in yet again and I’ll be making a run at creating as many items as I can out of the dozens dancing through my head in a very short time. The carrot that I’m dangling in front of myself is that on Thanksgiving weekend, I will begin my first pair of “me” socks, unless of course, I get an order for someone’s Christmas list. How do you organize your time and are you ready for the holiday.